General Motors India Private Limited, a subsidiary of the American multinational auto major, is expecting to sell over one lakh units in the domestic passenger car market during the 2013 calendar year. Chevrolet Enjoy was launched on May 9, 2013 in India, and is the company's second utility vehicle offering after Tavera. 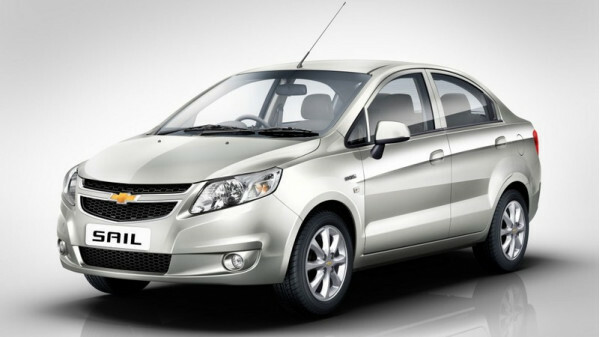 General Motors has now introduced two new models- Chevrolet Sail entry level sedan and Enjoy Multi Utility Vehicle (MUV) this year in the Indian auto market. The one lakh sales target of the company is believed to be based on the estimated sales of its Sail and Enjoy models in the country. The American auto maker's sales estimates were revealed by a senior official in Kolkata on May 9, 2013. Expressing himself about the company's sales target for the domestic car market, Vikas Jain, Director of Sales, General Motors India Private Limited, was quoted as saying, “We are hopeful of one lakh car sales this year.” Jain also informed that the new Chevrolet Enjoy MUV is third model made by the General Motors' Chinese joint venture with Shanghai Automotive Industry Corporation (SAIC). GM India expecting 1 lakh sales on the back of Chevrolet Enjoy and Sail . The Chevy Sail entry level sedan is doing well for the American car maker and was reported with bookings of over 8,000 units in less than three months of its launch in the Indian car market. Therefore, General Motors India would be hoping that its Enjoy achieves the same level of success. As per reports, the American auto major sold 92,000 units last year as compared to 1.11 lakh units sold in 2011. It is going to be interesting to see if the company is able to meet its sales targets this year.